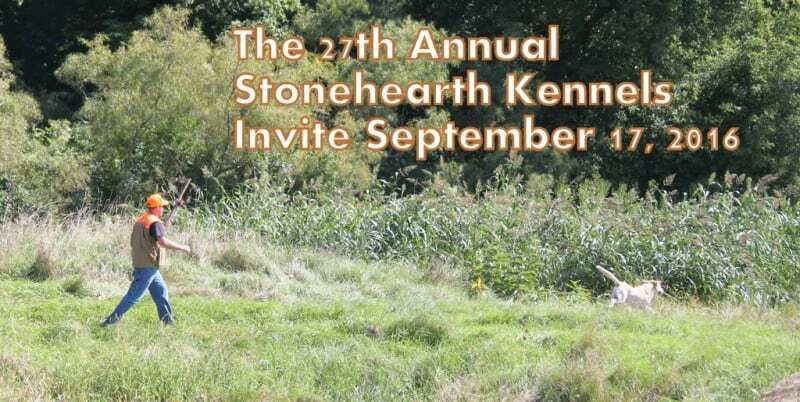 Stonehearth Kennels, LLP and Dale Emery is hosting the 27th Annual Stonehearth Invite for area hunters and their dogs. This is a hunting test prior to the pheasant hunting season for experienced gun dogs and their owners. 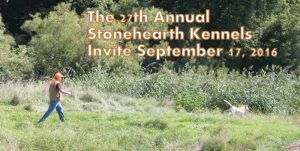 1st, 2nd, and 3rd place trophies and ribbons will be handed out at the end of the day to the hunter and his dog who excel. This event is by invitation only.